I love flares. Maybe it’s from growing up in the Seventies, maybe it’s because they’re versatile or maybe it’s because they’re just so darn cool. 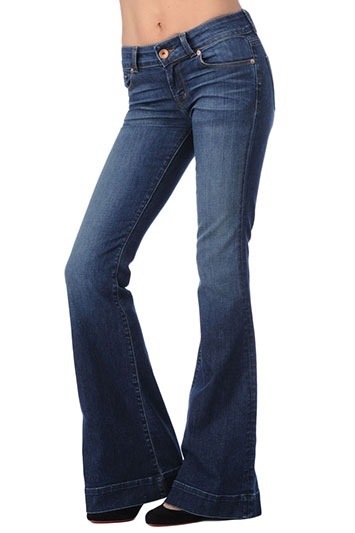 Flares are so casual chic in the summer paired with a tank top and sandals, but they are also so snuggly in the winter with boots and sweaters. They are definitely my go to denim style. Right now I am so drooling over J Brand’s Love Story Flare. They have just the right amount of stretch, feel so soft, and have just the littlest detail on the cuff. And bonus-they come in petite. Flare perfection!